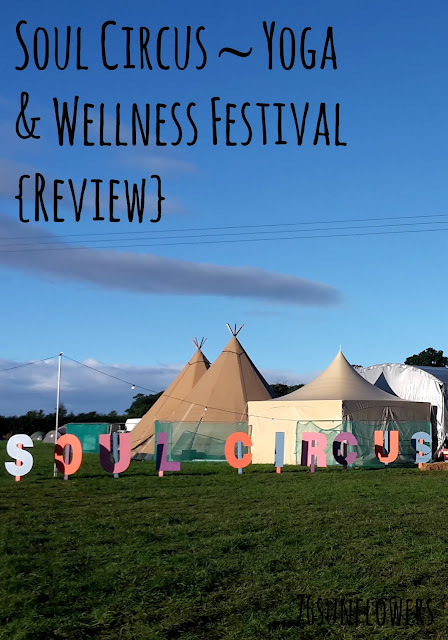 This weekend the time had finally come for me to attend the inaugural yoga and wellness festival that is Soul Circus. I left home on Friday morning with some apprehension about what was to come; I was leaving my family behind and going it alone to a festival. 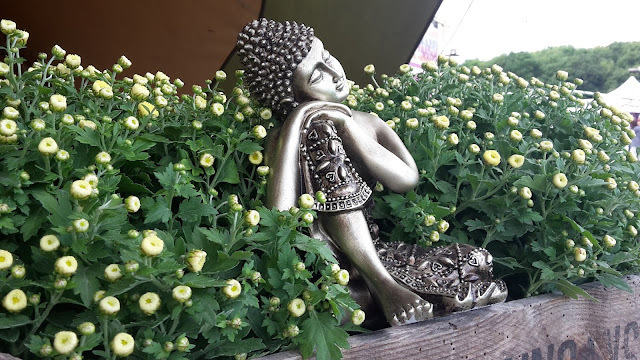 The date had been marked on the calendar for months; I was organised, I was packed for a weekend of yoga, I had made my plans, I had practised putting my tent up solo yet I was still worried. I was stepping into the unknown! The weather certainly wasn't helping my nerves with the forecast predicting heavy rain and high winds but I told myself the weather is beyond my control, worrying about it will not change it, so I took a deep breath and moved on. I said my goodbyes with a bug hug for the husband and kiddos and I was on my way to a field in Elmore, Gloucestershire. Leaving the M5 at Junction 12 the festival site was easily found with clear signage on the local roads. Getting onto the site was quick and easy with a chatty steward telling me everything I needed to know. The size of the site meant parking up and getting my tent and gear into the camping field by myself was pretty stress free - although why I didn't just drive across and tip everything out of my car before parking up I don't know! Neighbouring campers were all friendly with a mix of solo attendees, friends and families and I was told to shout should I need any help with the tent. Choosing a spot against the bordering hedge and next to a nice big camper I felt relatively sheltered and relaxed up a bit more about the weather. Once pitched up I went to register my ticket in the entrance tent. Here things were running smoothly and attendees were asked to sign a health disclaimer and provide an emergency contact, which was definitely reassuring as a solo attendee. 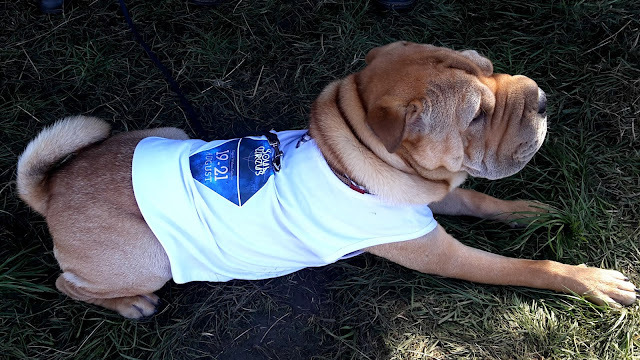 I received my weekend wristband and media goody bag and was shown around the site by the lovely Jo, then it was off to my first planned class in the Experience Tent. 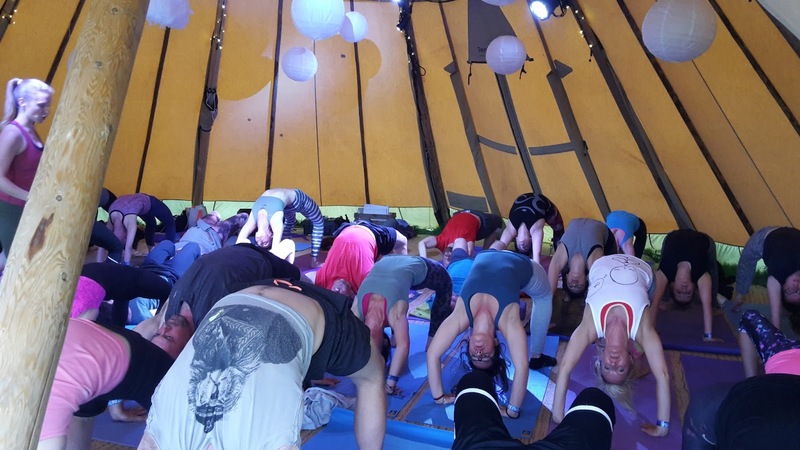 Dynamic Vinyasa with Jenny Clark was the perfect medicine after setting up camp and I finished feeling refreshed and rejuvenated ready for the weekend ahead. 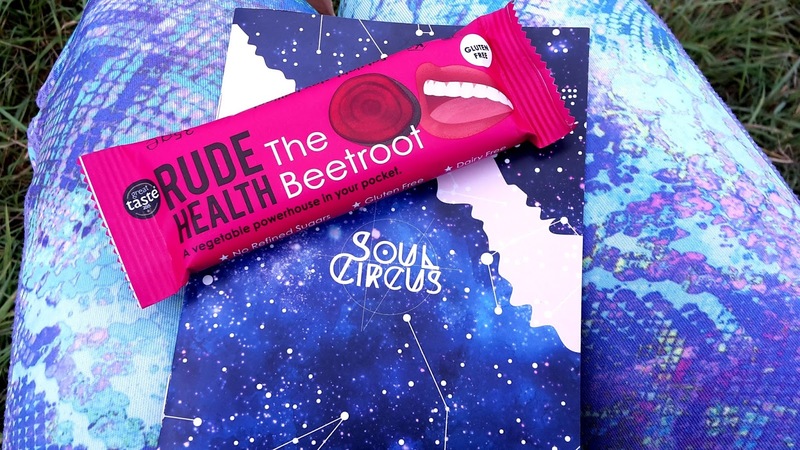 Realising I hadn't yet had my lunch, and the time was now 3.15, I devoured a rather delicious Rude Health bar whilst checking through the Soul Circus programme. 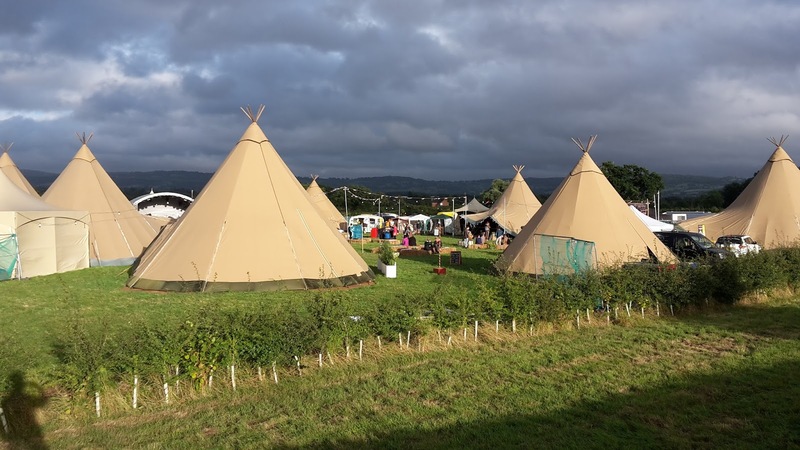 With over 70 yoga classes on offer including Vinyasa ,Yin, Kid's Yoga, Meditation, Rocket Yoga and Gloga Rave, amongst many more, there was something for every yogi on site. 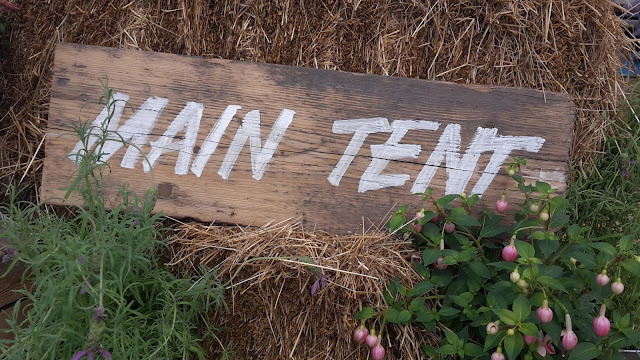 The programme was compact and informative and all tents had boards displaying classes for any slight alterations to timings and location. After a bit of chilling I went back to the Experience Tent for Shakti Power Meditative Flow with Tracy Sadler. 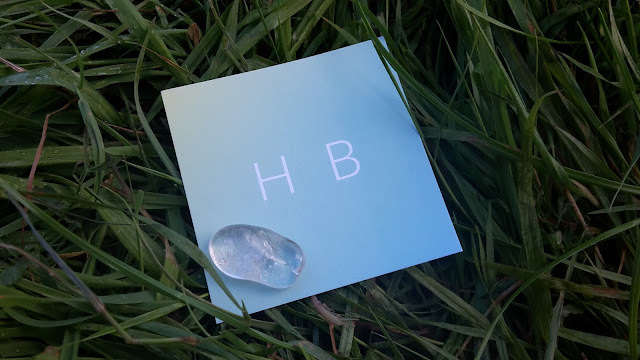 Alongside other yogis I had misconstrued this class as an hour of mediation but it turned out to be a complete release; finding my inner Goddess and working up quite a sweat in the process. 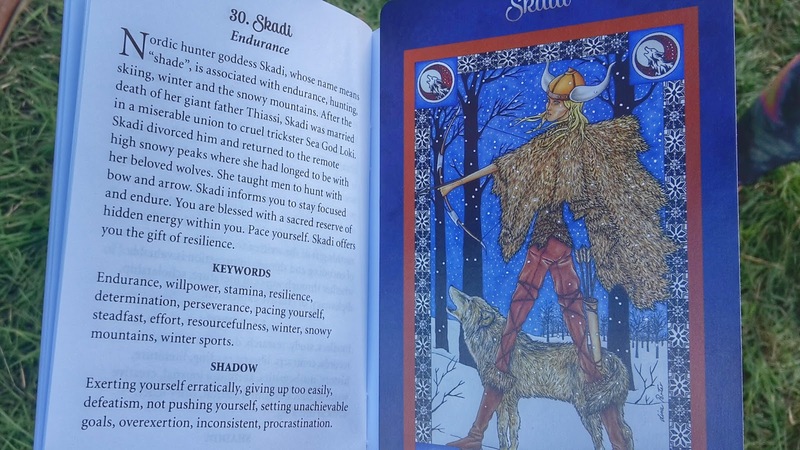 We were presented with a Goddess card and there were a few words of interest on mine. As the sun began to set I had some time to sample the food from one of the food traders. These were all close to the main action and included the main cafe ran by Jay Halford, The Croquette Co, TandooriQ, Positivitea, Asparagasm and Ice Green. 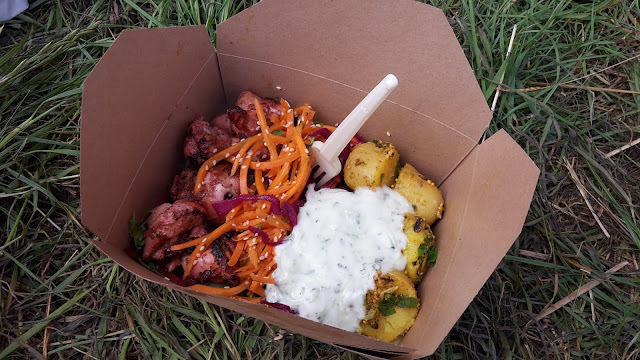 I chose to try out the TandooriQ Marinated Chicken and salad for £7. 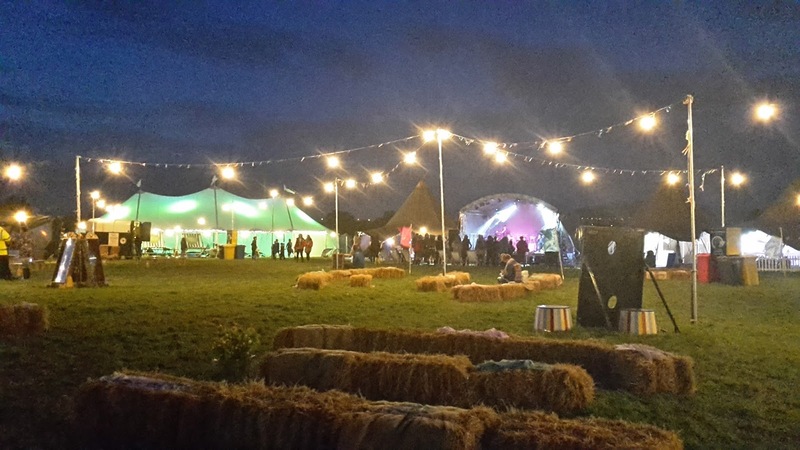 Whilst I ate, sat on the hay bales listening to the mellow sounds of the Gin Bowlers from the music stage, I took the opportunity to look around and noted the relaxed vibe of the site; people chilling, couples embracing, people alone with their heads deep in a book and as the light began to fade the tents evolved. 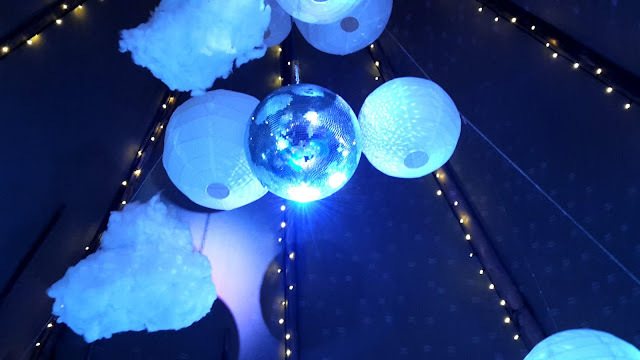 Inside the Experience Tent in the dark was a beautiful experience as the disco ball glittered across the walls ready for Ibiza Sunset Chilled House with Henrietta Greene. Here I found myself doing things I had never attempted before finding myself 'rucksacking' my leg over my shoulder and for a fleeting moment I found myself flying on an arm balance. It was also nice to learn that such poses aren't all about muscular brute force but core stabilty, skeletal alignment and balance and has given me something to work on in my own practice. Following that achievement my final savasana of the day to the Balearic beats of the Chemical Brothers was an absolute wonderful feeling. 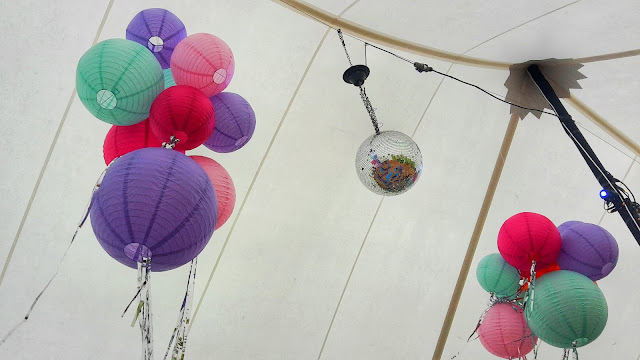 I soon found myself back in my tent where I took stock of my first day and soon drifted off to sleep with the sounds from the music stage, helping to drown out the wind, soothing me on my way. 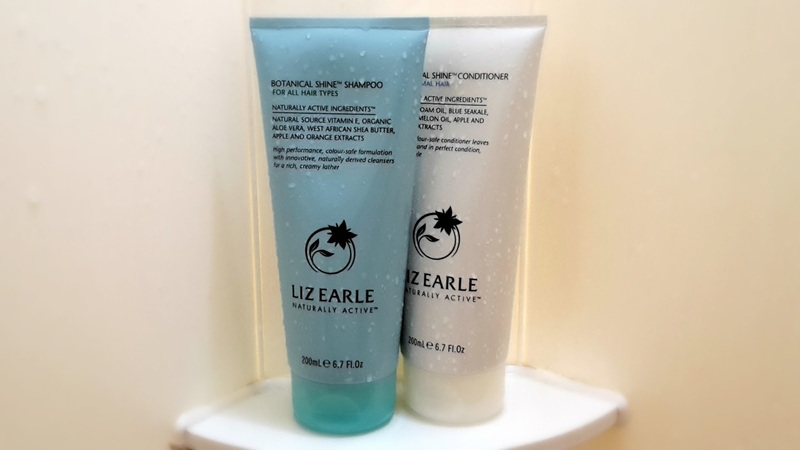 Saturday morning and I gave myself some festival luxury - a hot shower complete with toiletries! Alongside the flushing toilets with sinks and Liz Earle handwash this was an additional bonus - particularly for someone who usually takes a trug and a kettle for her washing needs at festivals. Following a healthy breakfast I went onsite where Shine On with Taylor Harkness in the Main Sail Tent had caught my eye. I thought it sounded like it could be a mellow yoga session and I have to admit to gulping a bit when Taylor explained, in his soothing reassuring American way, that the session will be somewhat of a condensed 3 hour workshop leading to a handstand - a word that automatically pushes me out of my yoga comfort zone. But, instead of running out of the tent into a torrential downpour I embraced my inner fears and stuck with it. Following some awesome flows we built up to partner work. Having come alone this meant pairing up with a stranger and I soon saw the lovely yoga teacher Emily Young coming to my rescue. Emily guided me up with calm words of advice, and she got me over my fear of face planting the floor, physically supporting me up into a handstand. After those inversions I needed some food and it's not often I buy cake but I had to try out Tracy Sadler's raw cakes in the cafe. 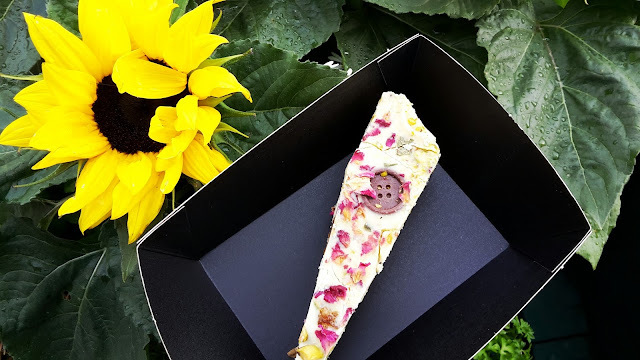 She had a beautiful selection of cakes on show which all looked so tempting and I opted for the Ginger, Pistachio and White Chocolate - the £4.50 was money well spent on such a healthy tasty treat! 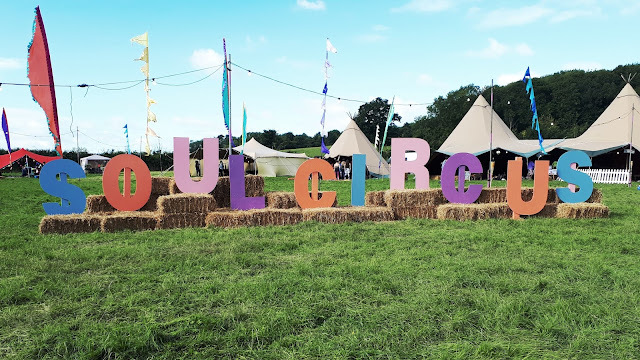 In the afternoon I took some time out from yoga practice and headed to the VIP tent for a Meet the Founders talk where we were intoduced to two of the team behind Soul Circus, Ella and Matt, along with the brand sponsors, Kit and Ace and Plenish+. It was great to hear about the build up of small businesses and how the goals of the Soul Circus team came to fruition. I couldn't stay away from the yoga for long and I was soon back waiting outside the Experience Tent, watching some amazing back bend yoga, before I went in for an absolutely beautiful calming experience of Hypnoga with Hannah Burman - which is the first yoga class where I've had a shoulder massage as part of my practice. I was also lucky enough to receive one of Hannah's Angelic Vibration crystals at the end which I will treasure. 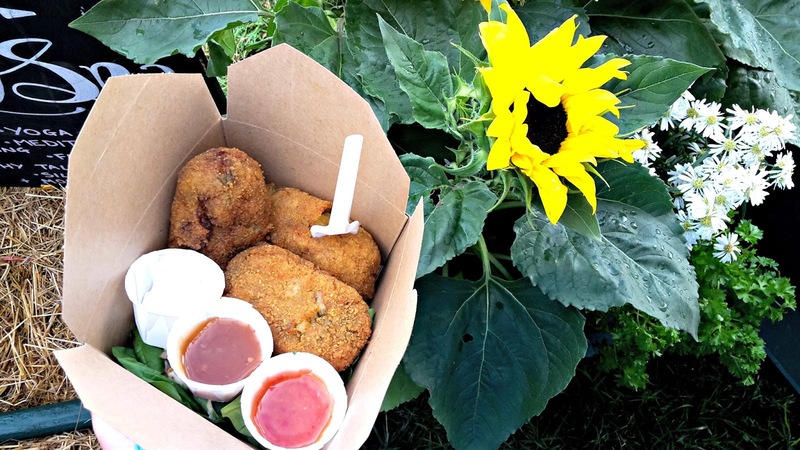 After I took some time to chill and contemplate my day so far I headed over to the recently established Croquette Co where I chose the Glamorgan croquettes of leek, parsley and mustard. For £6 I was served with three big croquettes on a salad with a range of dipping sauces. I have to say they were delicious and I wish the company well in their future. When the evening air brings a chill it is rather nice to have the option of heading to the Hot Tent and tonight I took part in some Yin yoga with Emily Young. Again, something new to me and this is what I absolutely loved about this weekend; trying new things, pushing myself, embracing different practices. The warmth of the Hot Tent, and an incredibly moving experience of about 50 yogis doing a free for all chorus of 10 Oms, was quite something and sent me happily on my way back across the twinkly site for a cosy night of sleep in my tent. 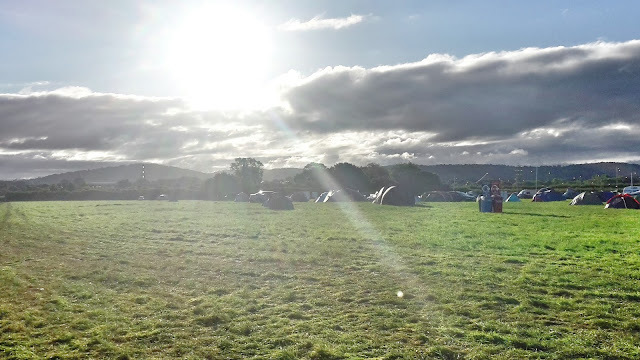 Sunday morning and I awoke to a peaceful campsite flooded with sunshine. 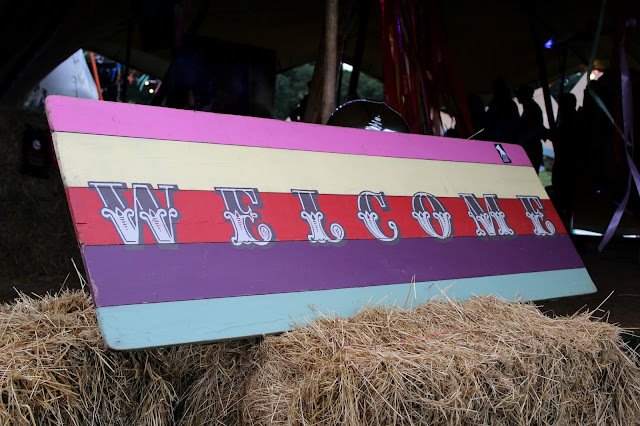 The campsite had been nice and quiet across the whole weekend with plenty of space for tents and campervans with a positive and friendly vibe all round which, again, is reassuring when attending a festival alone. Not once did I ever feel worried walking around by myself and I noted stewards and security regularly around the festival site and camping area. I started my yoga day back in the Experience Tent for Old School Jam with the lovely Aimee Garcia-Marshall, who rocks DM boots and yoga pants pretty damn well! She led us through an amazing Vinyasa Flow session challenging me again with balances - always fun on a festival tent floor - and new moves. One of my lasting memories is sure to be doing Yoga to the tunes of Shaggy! As well as yoga there were a number of workshops, dining experiences and talks and I grabbed a comfy seat to listen to Mel Wells' Goddess Talk. 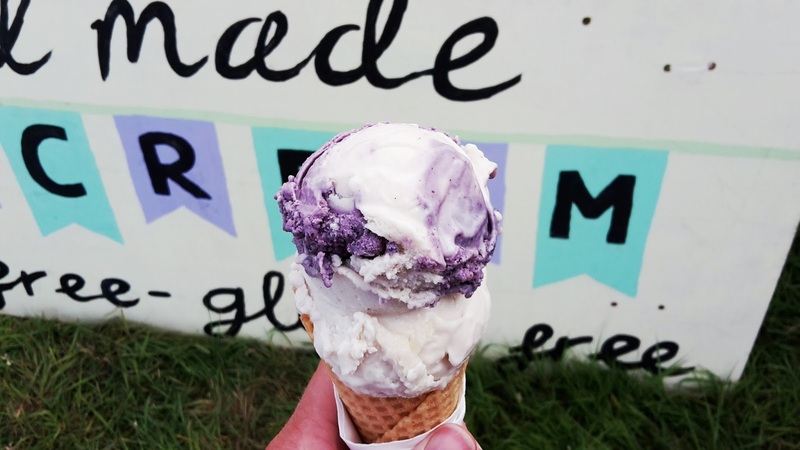 I had to try one last treat before planning to leave so I headed over to Ice Green for a deliciously tasty vegan ice-cream. There were far too many flavours but I plumped for a double scoop, at £3.50 on a waffle cone, as I couldn't choose between Blueberry Cheesecake and Lemon Curd - that's my excuse anyway! 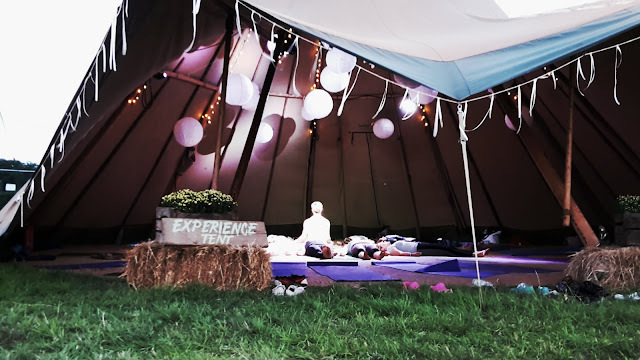 The small-scale size of the site means you are bound to bump into familiar faces that you have may have practised next to or be camping nearby to and I made a new friend in fellow yogi and blogger Life is a Festival - her review is here. 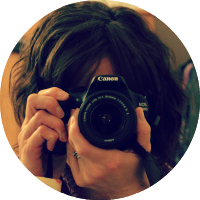 The number of classes, workshops and talks were enough to fill each day and it was rare for me to ever feel lonely but a smile from a stranger or a chat to a yoga teacher was definitely welcome. I had managed to say a quick hello and a few words to two of the festival founders, Roman and Ella, last night and today I managed to find Matt for a chat about how the festival had gone, it's successes, what they could change next year, the effect of the weather and the general vibe. 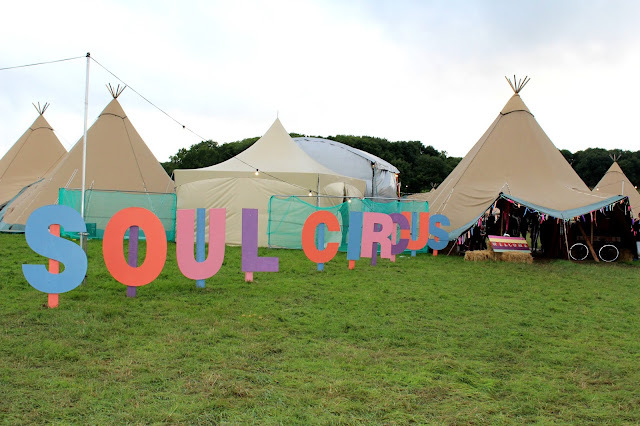 Soul Circus had clearly been a success and the fact that everybody had been having such an amazing time with the awful weather sums up just how great the weekend had been. My only negative point was the impact of music from the main stage on yoga in the tents but this is something that the team will be fixing for next year - and a festival in its first year is sure to have some teething problems and finding just one thing for me to feedback reflects just how much the Soul Circus team got it spot on. 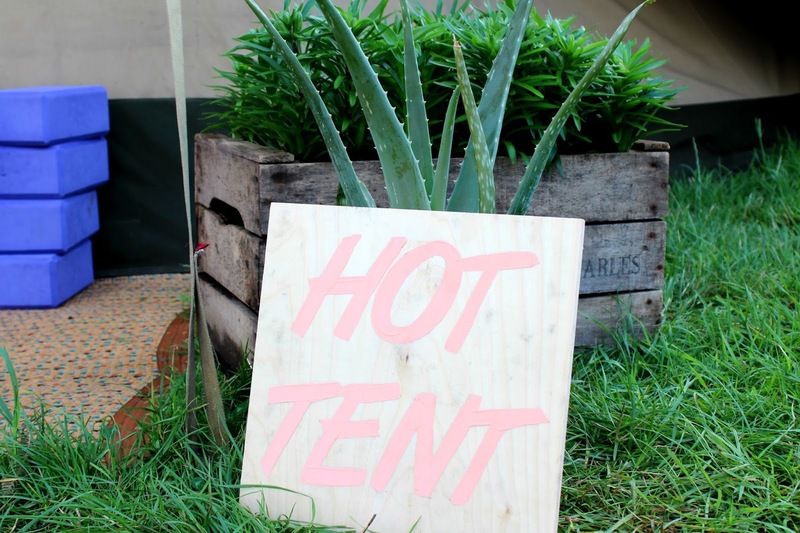 The sauna was busy with festival goers finding some warmth and there are plans for more hot tubs to chill out in by the lake next year; looking back my only regret was not getting into that sauna! 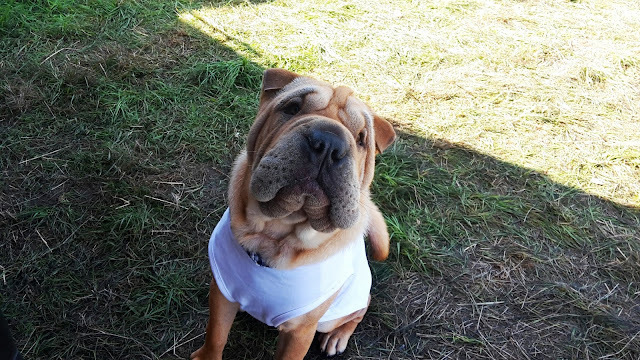 Chatting to Matt meant I also got the opportunity to meet Professor Wrinkles, the first festival dog I have ever come across! All in all it had been a truly amazing weekend where I stepped out of my comfort zone, challenged myself physically and emotionally, met new people, talked to strangers, made new contacts and have possibly set myself on a path to make some big changes in my life. It was with great sadness that I had to go and pack up the tent - this time I did drive the car over to make this process so much easier - but I left with a heart full of warmth, a mind full of ideas and fire in my belly to pursue something new. Thank you for having me Soul Circus! 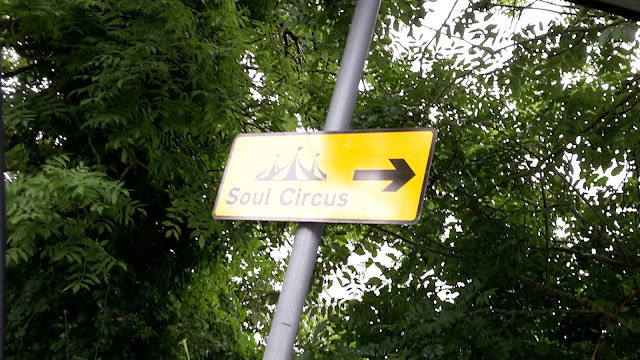 Disclaimer: I received a weekend pass to Soul Circus 2016 in return for previews and reviews of this year's festival. As always, views and opinions are my own.